The Foo Fighters have revealed the lineup for Cal Jam 18, their self-curated festival set for October 5 and 6 at San Bernardino, CA's Glen Helen Regional Park & Festival Grounds. 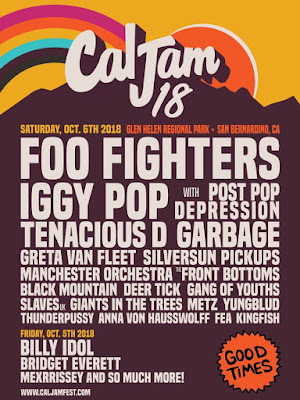 The event will kick off on the evening of Friday, October 5 with a headlining performance by Billy Idol, a comedy set by Bridget Everett, the Mexican Morrissey tribute act Mexrrissey, a comedy tent curated by Dave Grohl's cousin and comedian Tim Hanlon, and more. The Foo Fighters’ salute to the original 1970s Cal Jam festivals saw the band joined at their inaugural event in 2017 by more than a dozen acts, including Queens Of The Stone Age, Cage The Elephant, Liam Gallagher, The Kills, Royal Blood, Wolf Alice, Bob Mould, and others. 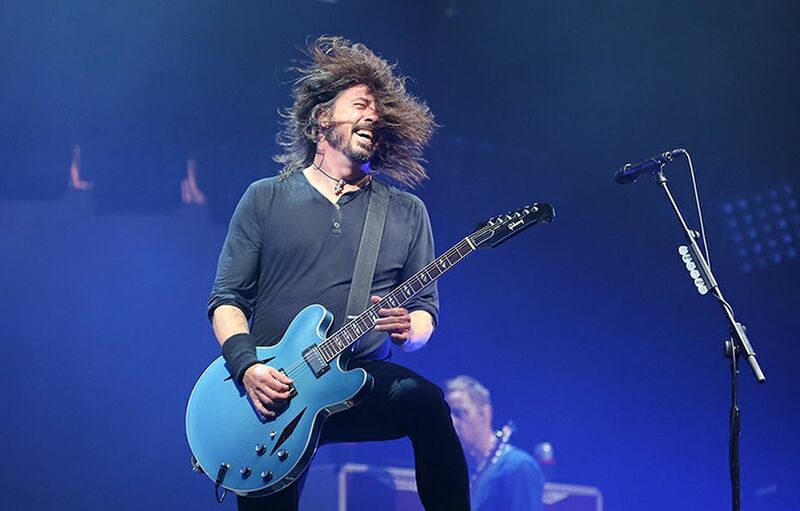 On the road in support of their ninth album, “Concrete And Gold”, the Foos will begin a summer tour of Europe in Germany next month.